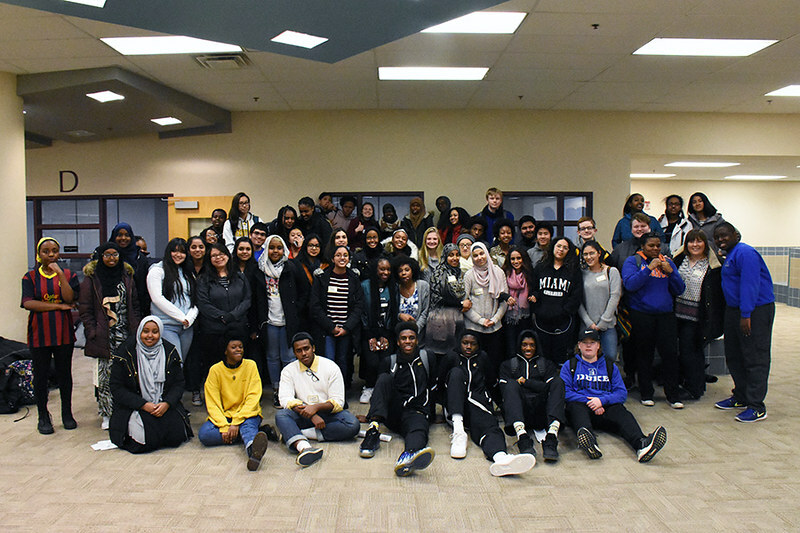 A group of about 60 Burnsville High School students gathered Feb. 5 to work together on answering a question: How can we increase communication in our school and decrease conflict and tension resulting from our differences? The workshop is part of the school’s work to address conflict that arises, often because of cultural difference among students and staff. The school’s goal is to give students opportunities to express themselves and contribute ideas that help build a strong community that supports and benefits all students. The afternoon started with activities to build trust among the students, and continued with each student taking the time to think about and share their own personal story. Eventually, students participated in a consensus building activity aimed at identifying what needs to improved and how to make those improvements. Students came up with themes for addressing the question, including teachers building relationships with students and allowing conversations about race, administration addressing racial incidents differently and doing more to listen to students, celebrating diversity throughout the school, incorporating anti-racism education, and increasing curricular and extra-curricular opportunities for students of color. The same group of students will meet again on March 5 to dig deeper into those themes, identify strategies and develop an action plan.